YEREVAN, May 1. /TASS/. Russia and Armenia will remain strategic allies, Armenia’s opposition leader and the only candidate for the prime minister Nikol Pashinyan told the parliament on Tuesday. "We consider Russia as a strategic ally, our movement does not create threats for this," Pashinyan said. "If I am elected [as the prime minister], Armenia will remain a member of the Eurasian Economic Union and the Collective Security Treaty Organization," he said. Armenia and Russia established diplomatic relations on April 3, 1992. The countries have signed more than 720 treaties and agreements. Russia is a major investor in Armenia’s economy. Some 1,300 Russian companies are operating in the republic (nearly one third of all joint ventures with foreign capital in Armenia). Armenia’s opposition leader and candidate for the prime minister Nikol Pashinyan vowed to launch talks with the European Union on lifting visa requirements if he is elected. "We will deepen relations with the Eurasian Economic Union and the EU countries. We will do everything for eliminating visa requirements for Armenian citizens to enter the EU countries," he said. "We hope to begin these talks soon." An agreement with the EU on enhancing cooperation will be ratified soon, Pashinyan noted. Besides, "friendly relations with the United States need a new impetus and we are set to take steps for this," he said. The Armenian parliament is electing the country’s prime minister now. 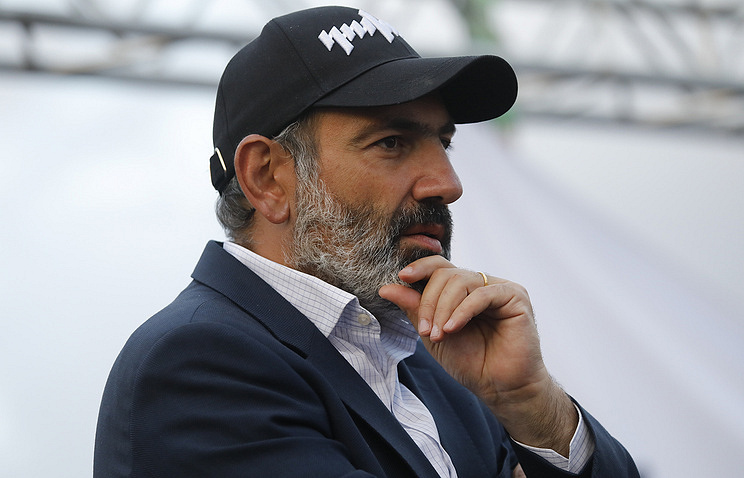 The opposition’s leader Pashinyan is the only candidate for the post. He needs to secure a simple majority of 53 votes out of 105.